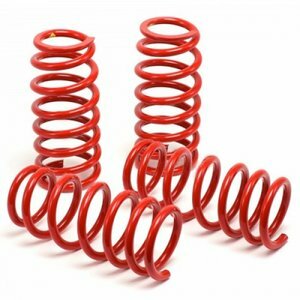 These lowering springs have a progressive spring rate. In a linear spring, the spring collapses always a certain distance at a certain weight, a progressive spring is not so. The spring becomes more rigid as it further into springs. So you get a better handling and comfort. The lowering springs are provided with an epoxy coating to protect the product long-term corrosion. After installation of lowering springs feel like the improved and sportier handling. Your car is balanced, reacts better cornering and also looks much sportier.